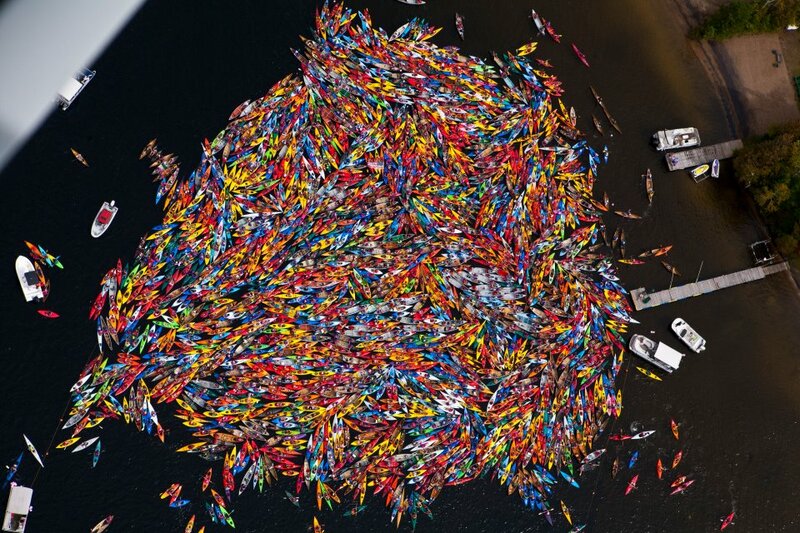 I saw this photo of kayakers on facebook and the thing that popped into my head unbidden was, Plastic Gyre. Of course this isn't a plastic gyre, the real plasic gyres are in the world's oceans and there are five of them and they are huge, and while there may be some plastic kayaks or kayak parts in these gyres, the majority of the plastic is from other sources. So whenever kayakers decry plastic pollution, I see some irony in their stance. 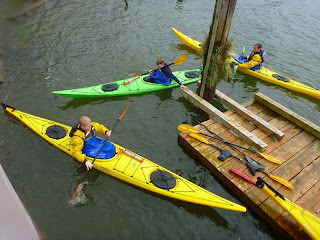 I posted this picture before under the heading, how many kayaks are there? and this massive assembly of kayaks really does come close to being a genuine plastic gyre. And before you accuse me of being holier than thou with my wood frame skin on frame kayaks, I confess that yes, there are plastic resins used in its construction, mostly in the skin and the lashings and the coatings used to seal the skin. And I also wear some plastic garments when paddling and the small fibers that they're composed of break off during washing and end up in the ocean where they displace plankton in the bodies of animals that eat plankton. Let's let the issue of whether I am a hypocrite or not rest for a moment and look at the obvious problem of plastic pollution in the world's oceans. The organization Five Gyres has devoted itself to the problem. Click on THIS LINK to find out more about them. Policy director Stiv Wilson of Five Gyres explains in an ARTICLE that plastic pollution on the world's beaches is not the main problem but could be a big part of the solution. While the five gyres collect plastic that has made it into the oceans, they also spit out a certain percentage of plastic each year. 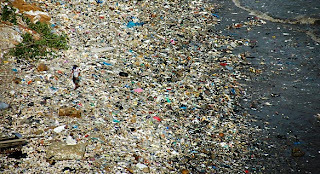 Some of the plastic moves on to different gyres, but some of it also gets spit out and ends up on beaches. If we were to stop making plastics tomorrow, and did annual beach cleanups, plastic would be gone from the world's oceans in a matter of decades. The problem with the plastic in the oceans is not that the plastic ends up on our beaches and assaults our esthetics but rather that when in the ocean it harms the animals that live there. Inundating the world in plastic products and then expecting none of them to end up in the oceans is not realistic. 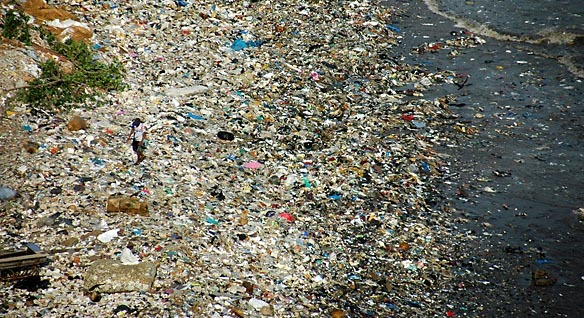 Maybe stopping the production of plastic is not realistic either but it sure would fix the problem. What we have to decide is whether not having plastics in our lives is a bigger inconvenience than having it in our oceans. We've lived without plastics before and we can do it again.